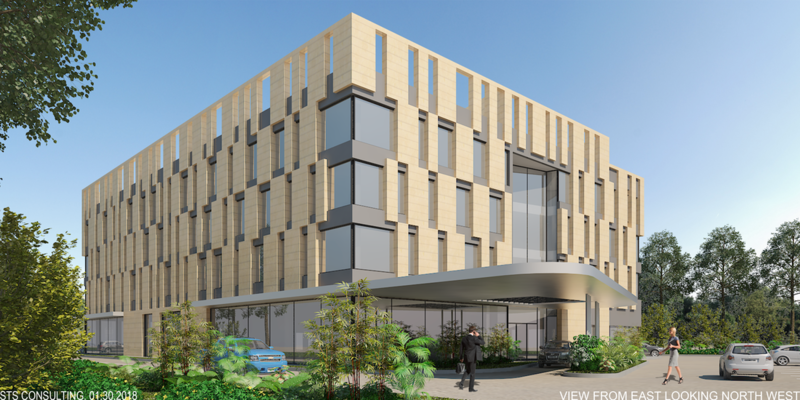 Above is a depiction of a building proposed for 3951 Prince William Parkway near Hoffman Drive. At the top of the page is a link to the development plan. The building would be 55 feet tall with retail on the first floor and office space above that- approximately 90,000 square feet total.